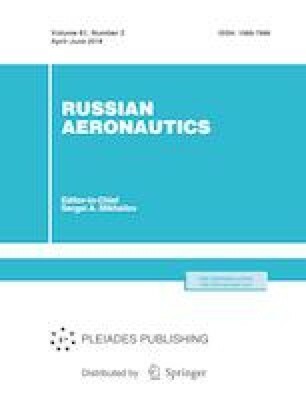 High-precision measurement systems of modern aircraft are studied in this paper. A measurement system with correction in the structure of inertial navigation system is introduced for highprecision aircraft. In the correction algorithms, a linear error model of the navigation system is usually used. With the aim of increasing the accuracy of the navigation system, we propose a nonlinear correction algorithm based on the state dependent coefficient representation of the nonlinear model. Original Russian Text © Kai Shen, K.A. Neusypin, M.S. Selezneva, A.V. Proletarskii, 2018, published in Izvestiya Vysshikh Uchebnykh Zavedenii, Aviatsionnaya Tekhnika, 2018, No. 2, pp. 124–130.